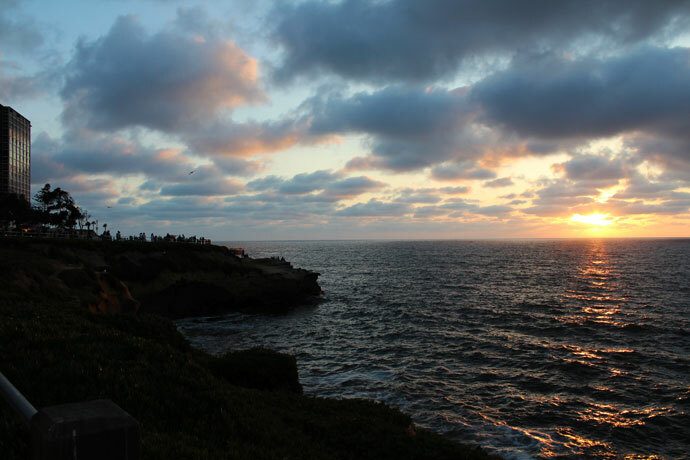 A gorgeous rocky cove with sea caves and wildlife, La Jolla Cove features a picturesque beach and boutiques set on Mediterranean-like hillside. 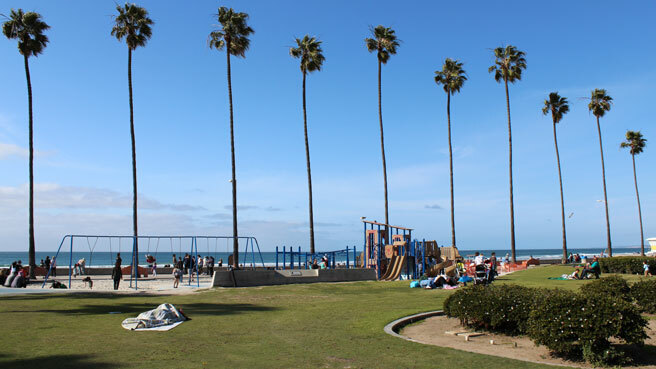 Scripps Park looks over the cove, where excited toddlers can check out sea lions, pelicans and sometimes scuba divers or snorkelers entering the shallow, protected beaches. Atmosphere: Upscale La Jolla attracts international tourists, as evidenced by the high-end galleries around town and nice cars lining Prospect Street. 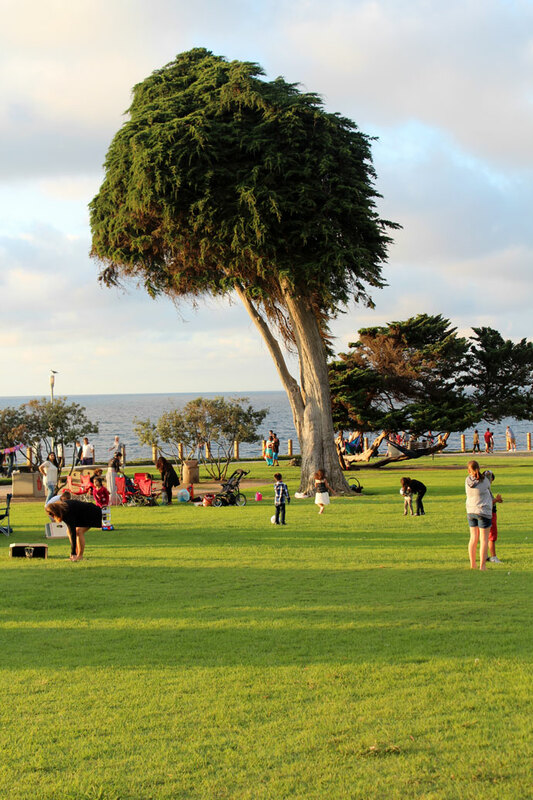 While La Jolla Shores is more suited to beachin’ it, La Jolla Cove does offer beautiful walking paths and picnicking areas at Scripps Park. Parking and Entrance: There are no pay lots, and many street parking spots are limited to a few hours. 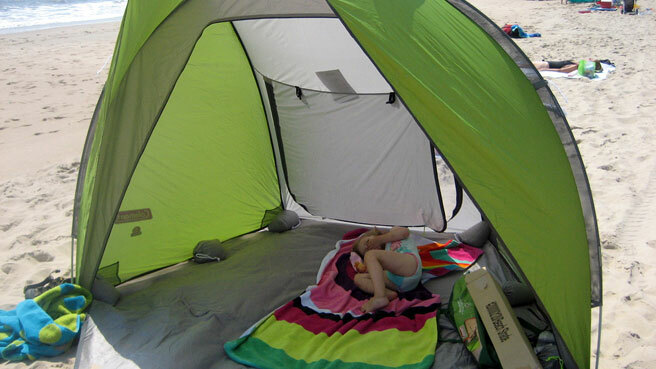 You may have to walk a ways downhill to the beach, so bring the stroller and don’t plan to spend a lot of time here unless you’re parking at your hotel. Nice Walks and Views: You can walk along the top of the cove through Scripps Park, a grassy area with great views of the rock formations. 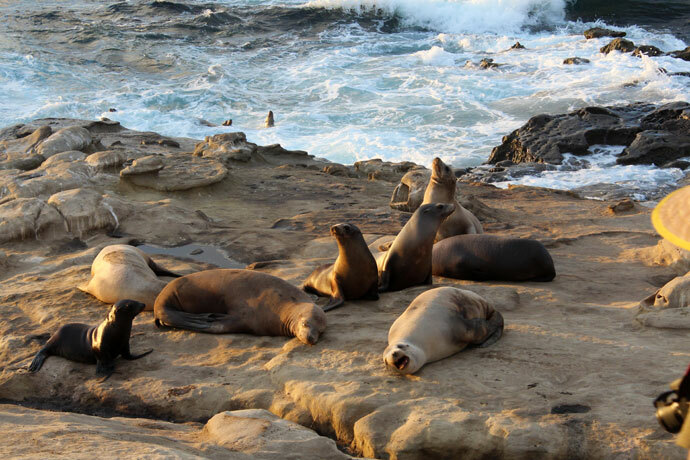 Walk to the north end of La Jolla Cove to check out Sunny Jim, a sea cave. The stairs down to the cave are narrow and slippery, so best to bring the baby carrier here so you have both hands available. 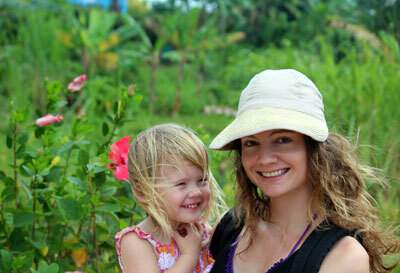 Activities for Toddlers: Watching the sea lions and pelicans playing in Scripps Park. Brave toddlers may want to wade in the calm water or peer into the tidepools, but the beach access is by steep stairs only and surrounding rocks can be slippery. Bathrooms: Bathrooms and showers are in Scripps Park. 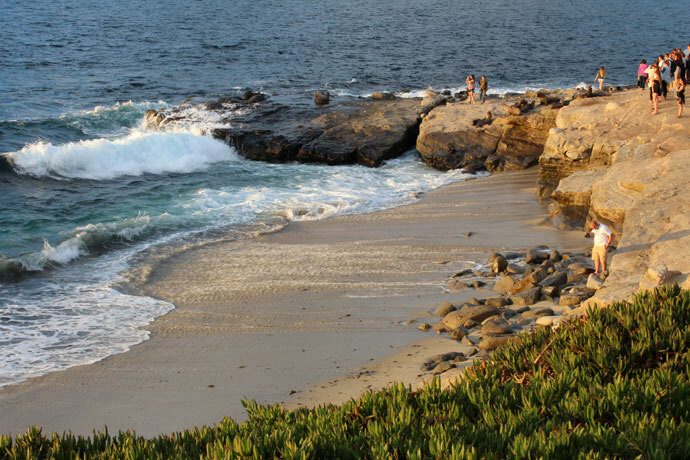 Perks for Parents: Since La Jolla Cove is well-protected and offers a close glimpse at wildlife, scuba divers, snorkelers and kayakers will love it here. Surfing is not allowed. 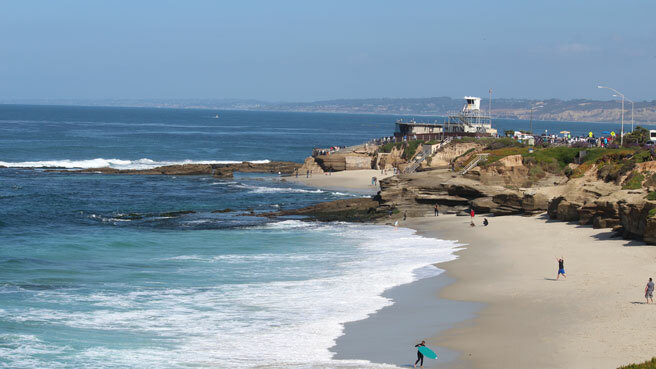 Where to Stay with Kids: While many hotels in La Jolla are romantic boutique resorts or bed and breakfasts, family-friendly La Jolla Cove Suites is right across from Scripps Park and offers continental breakfast and kitchenettes in some rooms. Parking is available for a fee. Baby-friendly Restaurants: Pick wisely, as most restaurants around La Jolla are not suited to babies. There is however, a Smashburger and plenty of gelato shops. What Else to Do: Go shopping, as some call La Jolla the “Beverly Hills” of San Diego. Kids will love watching fish and baby seahorses at Birch Aquarium in La Jolla, and there are interactive exhibits for small children also.